Recently a F.B. friend of mine has starting posting statements that "I and Amida are one and the same." 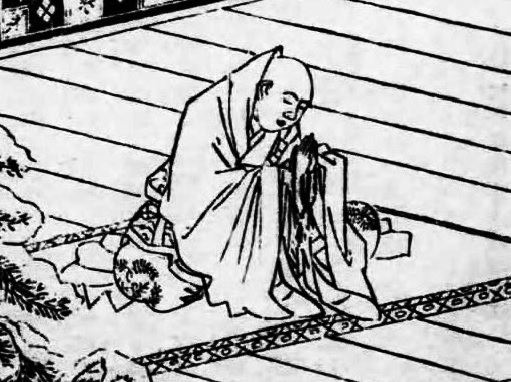 This person is an avid reader of Ippen Shonen, the Hijiri, and has come to share many of the Zen / Pure Land views that Ippen taught concerning interconnection of all things. Personally I cannot agree with this line of thought as I see it as presumptuous, arrogant and quite possibly slanderous. Please give me your take on this line of thinking and tell me if you think it goes against the teachings of our Pure Land Masters. Please feel free to share this conversation with others if you feel it will be in any way beneficial to The Dharma. That person is wrong and not in agreement with the teaching of our lineage. As long as we are unenlightened we and Amida are different, and NOT the same. If we were the same with Amida, why don't we manifest as Amida now? :) Why don't we dwell in the ultimate Dharmakaya where there are no blind passions, and no ignorance? Why don't we have transcendental manifestations, like a Sambhogakaya body and a Pure Land? :) As long as we are unenlightened there will always be a dualism between Amida Buddha, the One who saves, and the one to be saved, that is, us who entrust to Amida Buddha. When we will attain perfect Enlightenment in the Pure Land, after death, we will have access to the same Dharmakaya (ultimate Buddha nature) as Amida and all Buddhas. Then and only then, we will be able to say that we and Amida are the same. But if we say those words while we are unenlightened, we are fooling ourselves, and we lie. All beings and the Buddhas have the same Buddha nature, but because we do not see this Buddha nature until birth in the Pure Land, to say now that we are one and the same with Amida or any Buddha, is arrogance. When we ourselves attain Buddhahood in the Pure Land, we’ll have access to the ultimate reality beyond forms (Dharmakaya), which is common to all Buddhas, we’ll dwell forever in transcendent form (Sambhogakaya) in Amida’s Pure Land, and in the same time we’ll go in all the places of the universe in various Bodies of Accomodation or Transformation (Nirmanakayas) to save all beings. This is the true Jodo Shinshu teaching. Here and now we can only be in a communion or unity with Amida Buddha like a child is in unity or communion with his Parent. But certainly, as long as the child is still a child (unenlightened/not a Buddha yet) he cannot be the same with his Parent (the Buddha). Interconnection of all things is a general Buddhist concept, but it has nothing to do with the false idea that we are the same with Amida Buddha while we still dwell in samsara, or have a samsaric mind. Amida Buddha is of course, interconnected with all sentient beings, but the level of His attainment is not the same with ours. If we, unenlightened beings, were already the same with Amida and all Buddhas, then the aspiration to attain Buddhahood for us and all beings, or the wish to be born in Amida's Pure Land would be futile. Such theories make unenlightened beings forget the importance of aspiration to be born in the Pure Land, which is part of the recquirements of the Primal Vow: "entrust yourself to me, say my Name and wish to be born in my Land". If we think we are already the same with Amida now, then we will not wish to be born in His Land. Why wanting to go there, to the Pure Land, if we are already the same with Amida now? Such is the inverted thinking of one who supports this kind of ideas. Not having the wish to be born in Amida's Land, we cannot entrust to Him too, because the goal of faith (shinjin) is to go to the Pure Land. Not having this faith with birth in the Pure Land as the goal, our Nembutsu is not the genuine Nembutsu of the Primal Vow, too. "Ippen thinks that people have been saved ten kalpas before. Even without Shinjin, if people utter Nembutsu, then they will get salvation and become Buddhas in the present. Continue to keep saying Nembutsu and expect the welcoming of the aspirant into the Pure Land by Amida. Shinran Shonin thinks that Shinjin is necessary. When people get Shinjin, it is definite to be born in the Pure Land, entering into the Rightly Established group in the present, so we do not need the welcoming into the Pure Land by Amida. Also we do not become Buddhas in this world. We are born in the Pure Land after death and then we become Buddhas the same as Amida." I have nothing against people following other Pure Land paths, but if we are trully Jodo Shinshu followers, we should NOT mix what we learned from Shinran and Rennyo with the teachings of Ippen. Ippen Shonin was not recognized by Rennyo as a Jodo Shinshu teacher and so he is not in the same spiritual lineage with Shinran. More than this, Rennyo tried his best and was succesful in converting many followers of the school (Jishu) which was founded on the teachings of Ippen. As far as I know, when Rennyo wrote against the heresy related with the idea that "beings were saved when Amida attained Buddhahood, ten kalpas ago", he did it in order to help people who came from the school founded on the teachings of Ippen. I explained this here, in my article, A Question on Faith (Shinjin) and Amida's Attainment of Buddhahood . Please read it carefully.